In the two years that have passed since the 2016 election, we have learned a lot about malignant disinformation campaigns in Western democracies. Special counsel Robert Mueller has indicted the Russian operatives who created fake identities and ran targeted advertising on Facebook. The ads themselves - supporting extreme anti-immigration groups and the phony "Army of Jesus" on the one hand, and fake "black lives matter" slogans on the other - have been made public. Reams of words have been written, studies have been made. We know how social media increases polarization, how fact-checking reaches only a narrow audience, how the lack of regulation enables false and opaque political advertisements, how algorithms favor angry and extreme views. Congress, Britain's Parliament and the European Union have all held hearings to discuss the problem. Facebook and Twitter have taken down some Russian-origin accounts. We have learned a lot - and yet we have learned nothing. For these same distorting techniques are still in operation. They will affect the midterm elections. They continue to shape political debate in many countries around the world. They are being used by not just Russians, but people in the countries they seek to influence. These campaigners, often hiding behind fake accounts, continue to act with impunity, promoting false narratives and relying on the main platforms - Facebook, Twitter, Google, and especially YouTube - to amplify their messages. What's worse, their messages are getting louder. After analyzing 2.5 million tweets and 6,986 Facebook pages, the Oxford Internet Institute has just found that the amount of biased, hyperbolic and conspiratorial "junk news" in circulation is actually greater than it was in 2016. More importantly, the messages are no longer seen just by a small fringe but are much more likely to be consumed by mainstream users of social media. At the same time, only a tiny percentage of political information available on social media actually comes from political candidates. People are now more likely to see a targeted ad from an unidentified political group with an opaque agenda, in other words, than something written by the people actually vying for their vote. Even after being told many times about the problem, YouTube - which is owned by Google - still allows its algorithms to be manipulated by Russia Today, the Russian state broadcasting company. The network's ongoing smear campaign against the White Helmets, a Syrian humanitarian group, still features high in search results. Meanwhile, in Brazil, junk news was spread during the last election campaign on not only Facebook but WhatsApp, where it cannot be corrected, let alone traced. We have learned nothing and we are doing nothing. The stopgap measures taken, voluntarily, by the social media companies are like Band-Aids on a gaping wound. Facebook and Twitter have both hired people to monitor their sites for "hate speech" - a term with an extremely wide range of definitions - to dubious effect. But other, more obvious steps have not been taken. Social-media bots could be banned altogether. More rigorous procedures could prevent the creation of anonymous accounts. YouTube, and others, could change their algorithms so that known sources of disinformation don't keep floating to the top. Lawmakers could force online political advertising to meet higher standards of transparency. But I am repeating myself and, more to the point, I am repeating many others. Calls for regulation without censorship have been made by many people and many groups - it's just that there is simply no political will to make an real change. Heavily televised hearings with a CEO celebrity such as Mark Zuckerberg are not a solution - they're a stunt. After the midterm elections are over, we need an informed national debate, a Congressional investigation that looks into all of the possible options, as well as a commitment by political leaders to take control of the information anarchy that will eventually consume them all. 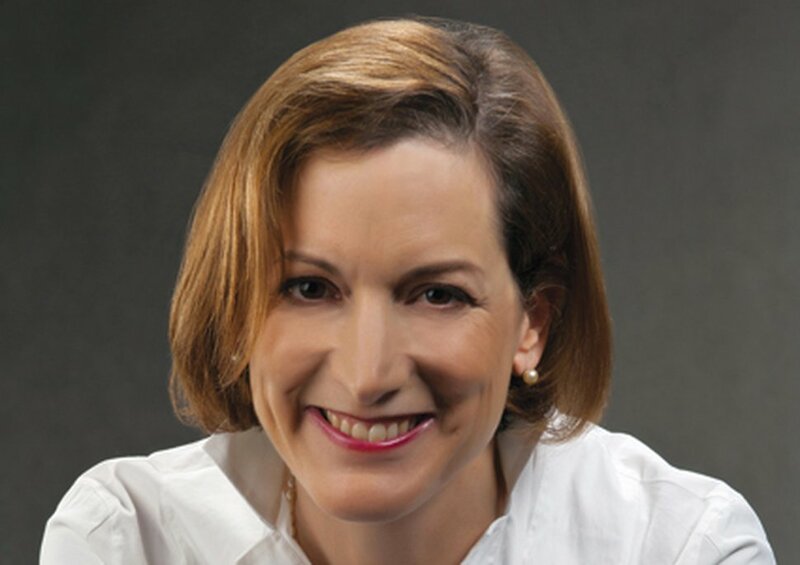 Anne Applebaum is a Washington Post columnist, covering national politics and foreign policy, with a special focus on Europe and Russia. She is also a Pulitzer Prize-winning historian and a professor of practice at the London School of Economics. She is a former member of The Washington Post’s editorial board.